The Vaillant Group is an international company with more than 141 years in providing customers with energy-saving and easy to operate solutions for heating, cooling and hot water. Their international reputation is built on creating innovative products and solutions setting the standards in the heating market that have revolutionised the industry. They are leading the way in renewable technologies, developing systems which utilise sustainable sources of energy, enabling us to enjoy simple, healthy and energy saving solutions for our heating, and hot water needs. Vaillant constantly strive to deliver on their promise to ‘think ahead’. Their products feature high energy efficiency ratings and low emissions, and come with an enviable reputation for performance, quality and reliability. 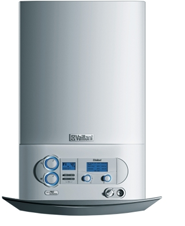 We are your Vaillant approved installer.